Massimo Lapucci is the Secretary General of Fondazione CRT and Fondazione Sviluppo e Crescita-CRT. He is also Managing Director of OGR, a former industrial building in Turin reconverted into an innovative centre for contemporary culture and business acceleration. He has extensive international experience as a Board Member for public and private companies and nonprofit organizations in the EU and the Americas. 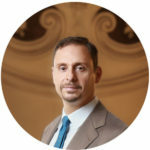 Lapucci is also Chair of the European Foundation Centre, the network of institutional philanthropy with over 300 members from 40 countries, and Vice President of the Social Impact Agenda for Italy. From 2006 he is a World Fellow at Yale University.